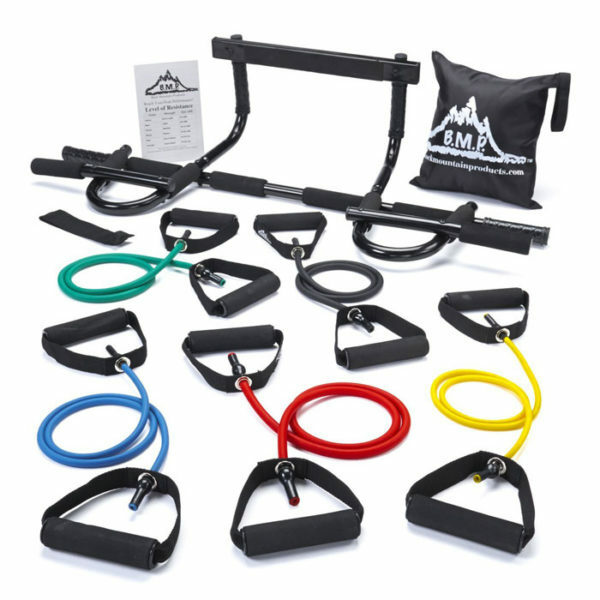 with Door Anchor, Pull Up Bar, Exercise Chart and Resistance Band Carrying Case. 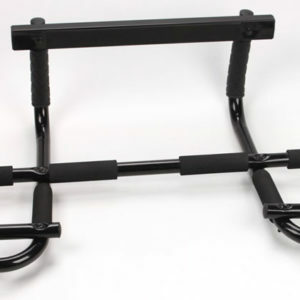 The pull-up bar mounts easily to any standard doorframe between 24 and 32 inches wide, with a trim up to 3.5 inches, and offers 12 grip positions to help develop your shoulders, back, arms, chest, and abs. 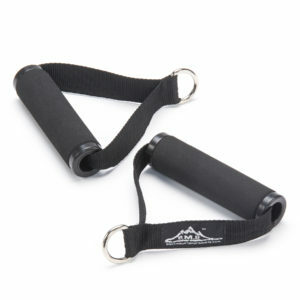 Use a wide grip to develop your lats, biceps, and forearm muscles., Narrow grip positions focus on your lower core. 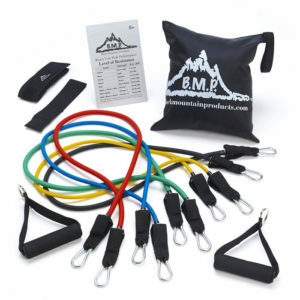 This set of five resistance bands includes (Beginner to Expert): Yellow (2-4 .lbs. ), Green (4-6 lbs. ), Blue (10-12 lbs. ), Black (15-20 lbs.) and Red (25-30 lbs.) 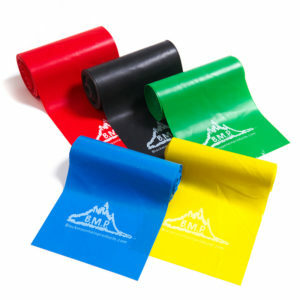 Black Mountain Products Resistance Bands are a great alternative to free weights or any workout machine. * Not valid on products used commercially. The product was delivered very quickly and is exactly as described. 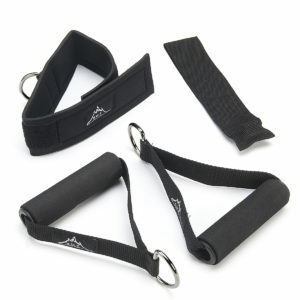 Resistance bands are very well constructed. Pullup bar was slightly tweaked as far as bolts lining up for assembly. Assembled by putting bolts in all holes prior to tightening any.. but even then needed to use a small amount of force to get final bolt in. But once all in and tightened, everything was fine. Appears to be plenty sturdy for long use. 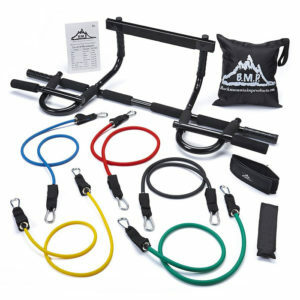 I just got your resistance bands and pull-up bar and I love them. I think the products are exactly what you said they would be. They were affordable and the quality is great. 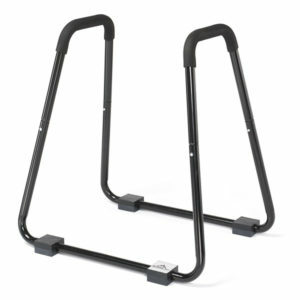 I did struggle a bit to build the pull up bar the instructions could use a bit of help. Otherwise, I love everything you sent me. I will be a return customer!